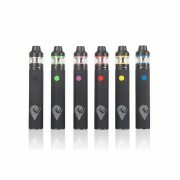 The Innokin ENDURA T22 Kit includes Endura T22 battery and Prism T22 tank. The Endura T22 battery has 2000mAh capacity. It can be charge by Micro USB cable, and features "Vape While Charging" technology for a daily vaporizer. And it comes with multiple protection funtions to ensure safety. The Prism T22 tank is a top-fill tank with 4.5ml capacity. It is made of Stainless Steel and Pyrex glass. The specially designed 1.5ohm coils can deliver a great vapor and flavor. ➤ 1. It has 2000mAh battery capacity and 14W max output. ➤ 2. With 4.5ml e-liquid capacity. ➤ 3. Comes with 1.5ohm coil head. ➤ 4. The coil is made of 100% Japanese Organic Cotton, delivering great vapor and flavor. ➤ 5. 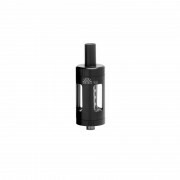 The Prism T22 Tank is made of high quality Stainless Steel & Pyrex Glass. ➤ 6. With delrin mouthpiece. ➤ 7. Safe to use with PCB safety and charging protections. ➤ 8. Easily replace and clean the coils with the No-Spill Coil Swap System.